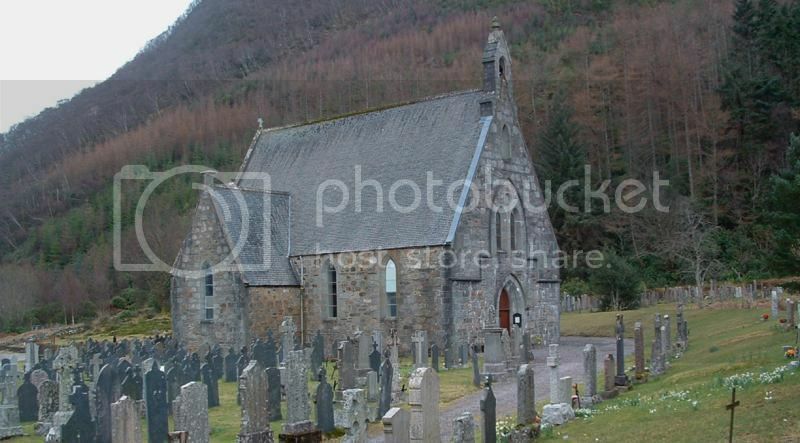 Located beside the A82 between Glencoe and Ballachulish. 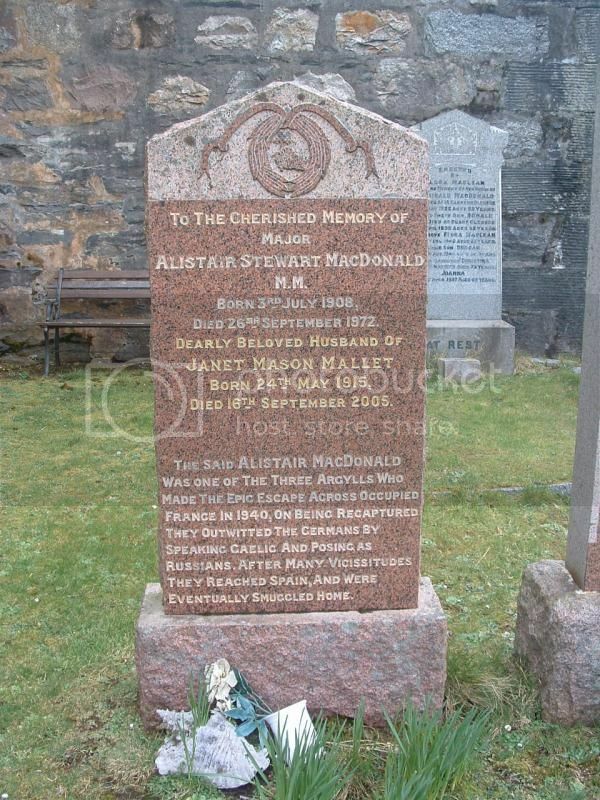 Regiment/Service: Argyll and Sutherland Highlanders, 8th Bn. Additional Information: Son of Thomas Walters Buchanan and Jane Allan Buchanan, of 67, Victoria Park Drive, South Scotstoun, Glasgow. Born at Colisnacon, Glencoe. 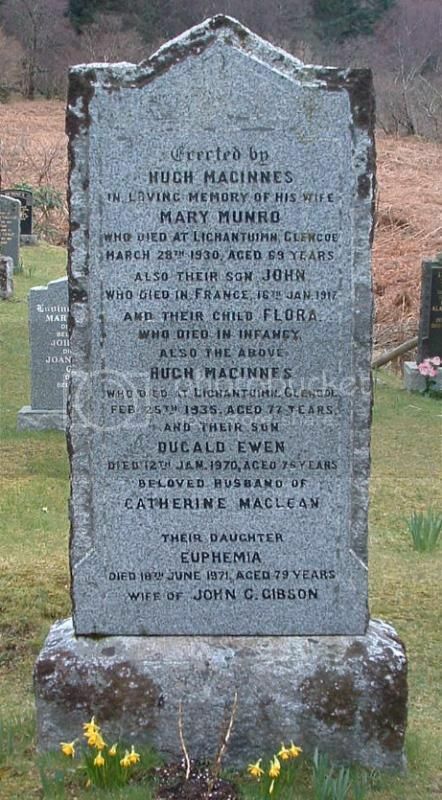 Additional Information: Husband of Una McInnes. 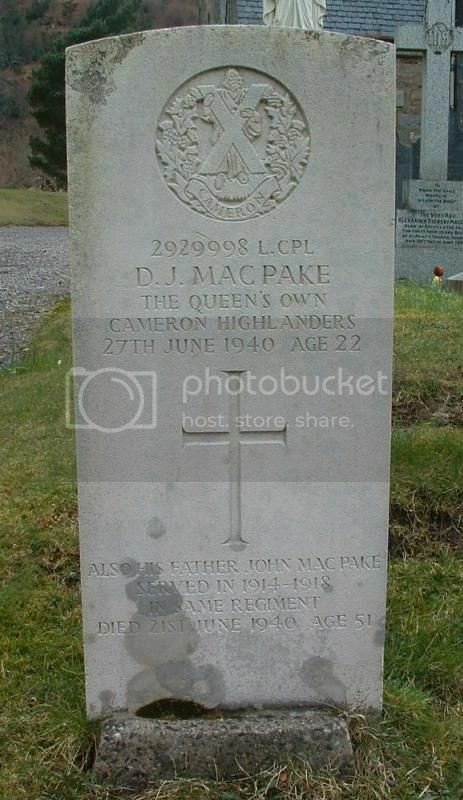 Regiment/Service: Queen's Own Cameron Highlanders, 4th Bn. Grave Reference: North of church. 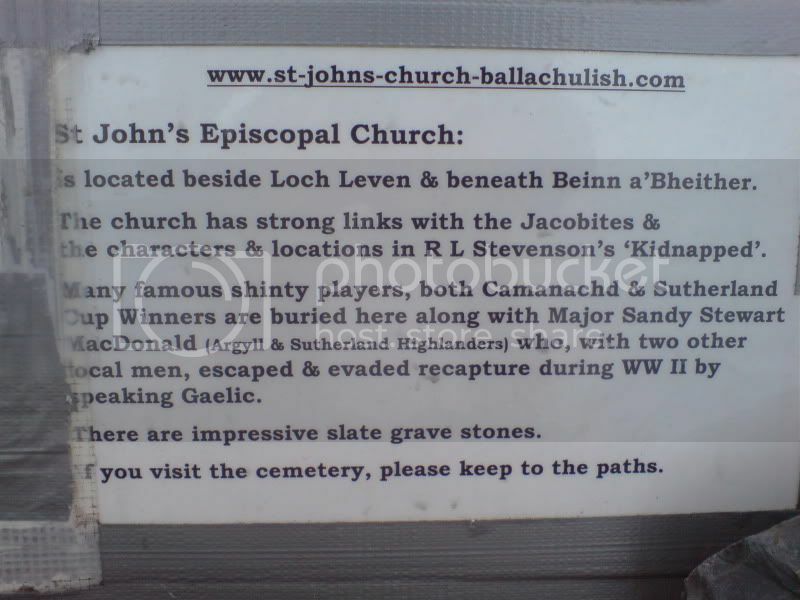 Additional Information: Son of John and Helen MacPake, of Kinlochleven. Regiment/Service: Canadian Infantry, 46th Bn. Panel Reference: Panel 18 - 26 - 28. Additional Information: Son of Mrs. M. Buchanan, of 225, Fairford St. West, Moosejaw, Saskatchewan, and the late Donald Buchanan. 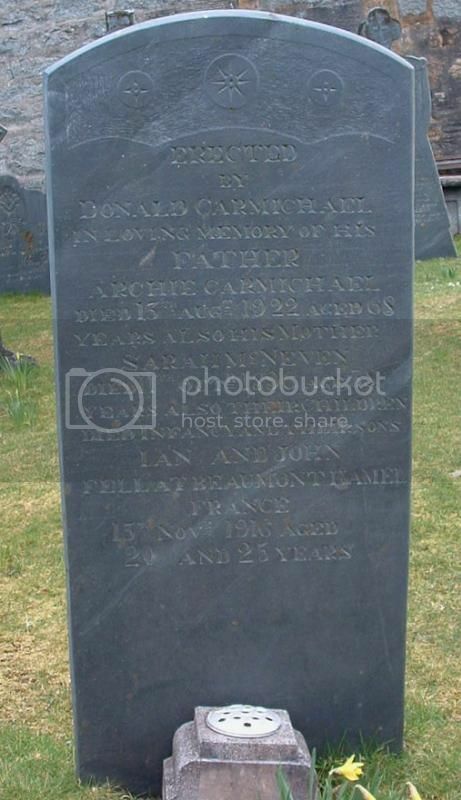 Both these men are listed on CWGC as JOHN Carmichael. They were brothers, so highly unlikely to have the same name? Possibly a case where the name Ian (which is usually a variant of John) has been presumed to be John when it was actually Ian! 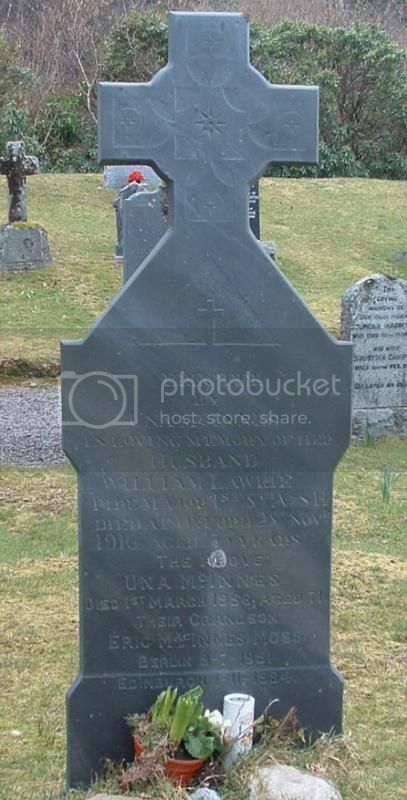 Grave Reference: I. L. 30. 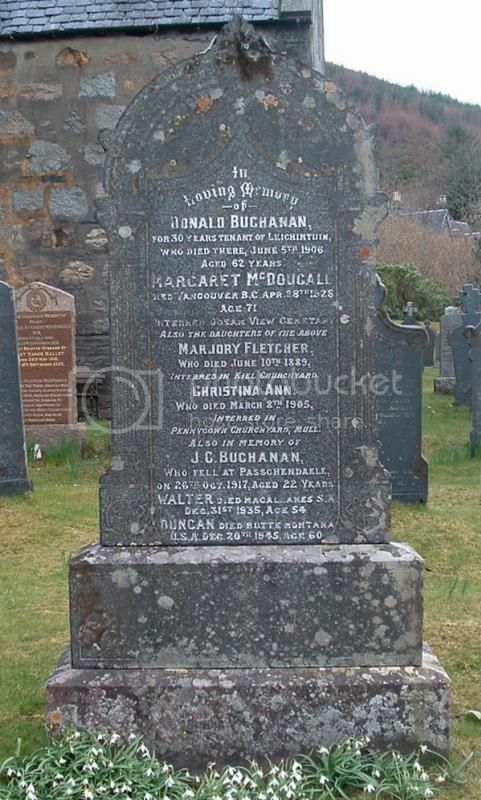 Additional Information: Son of Archie and Sarah Carmichael, of Ballachulish, Argyll. Grave Reference: I. J. 15. 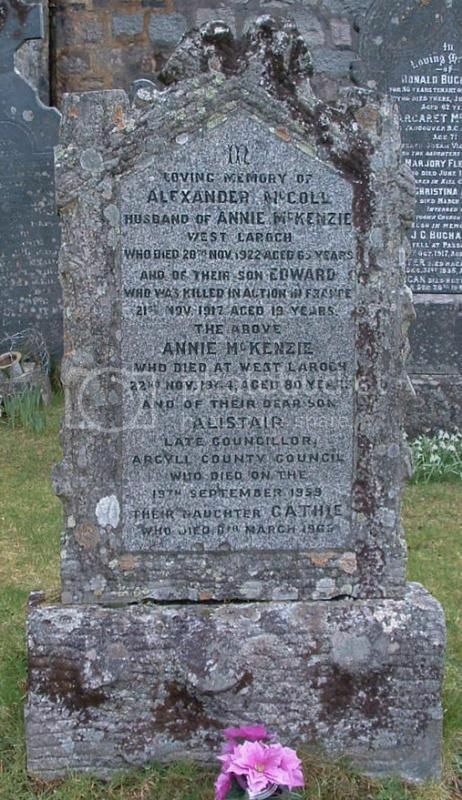 Note that the brothers were killed on the same day. Grave Reference: Plot 1. Row C. Grave 1. 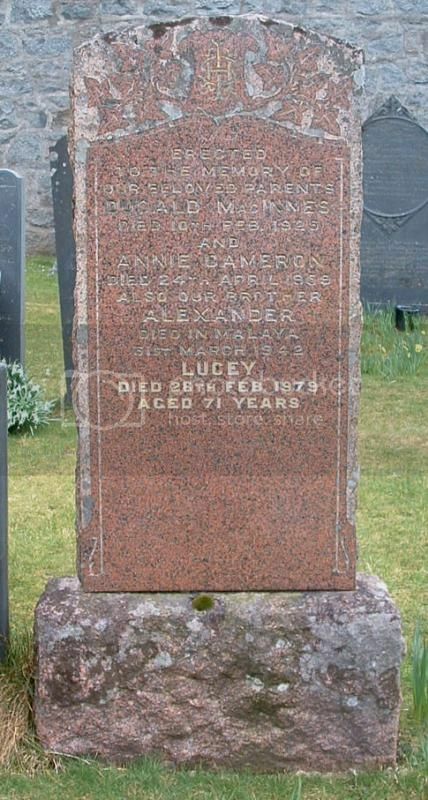 Additional Information: Son of Hugh and Mary McInnes, of Alltanrigh, Glencoe, Argyllshire. 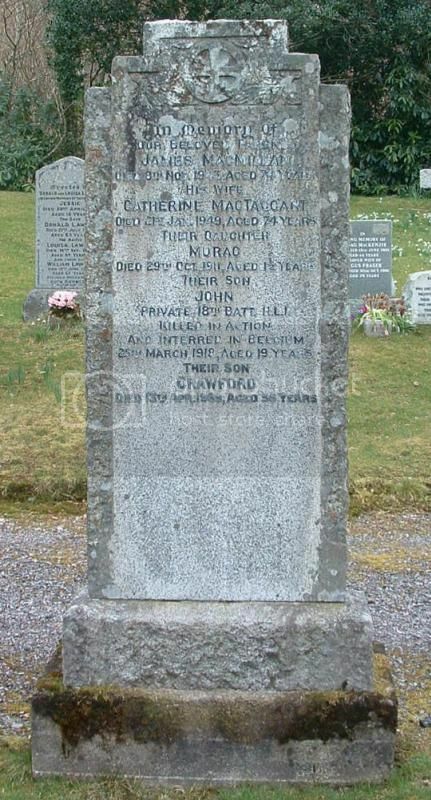 Note the year of death differs from 1916 on CWGC & SNWM to 1917 on inscription. Grave Reference: II. D. 3. Additional Information: Son of Alex. 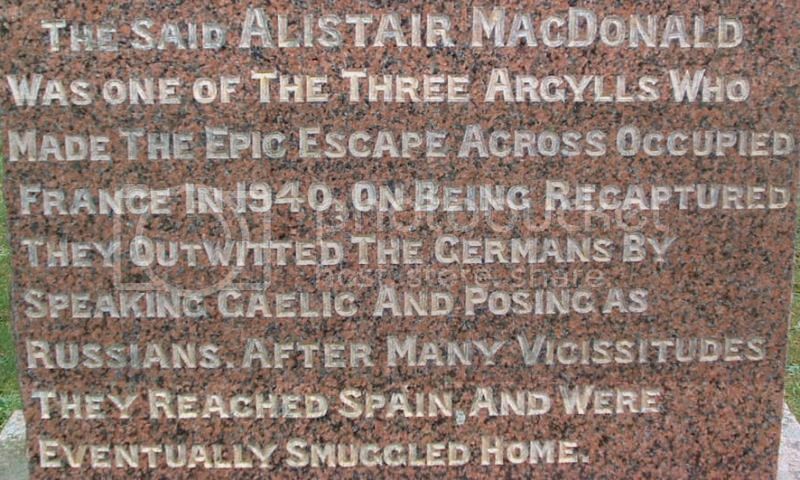 MacColl, of 5, West Laroch, Ballachulish, Argyllshire. Grave Reference II. D. 10. 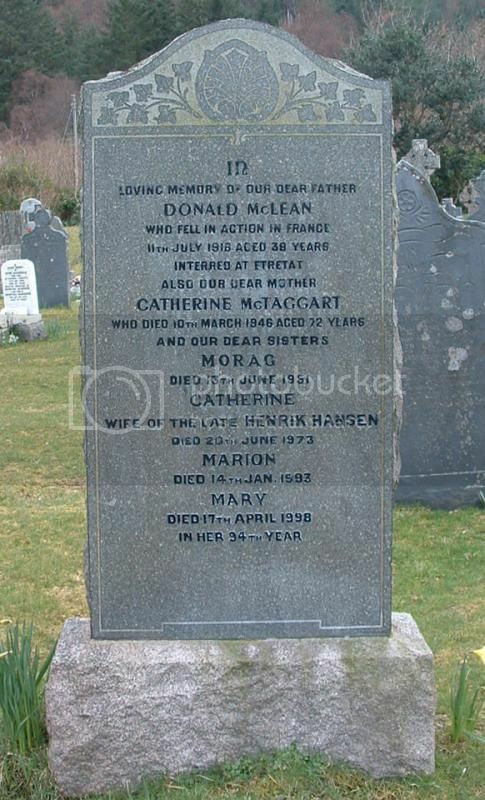 Additional Information: Son of John and Catherine McLean; husband of Catherine McLean, of 81, Foyers Rd., Kinlochleven, Argyllshire. Served in the South African campaign. Regiment/Service: Highland Light Infantry, 18th (Glasgow Yeomanry) Bn. 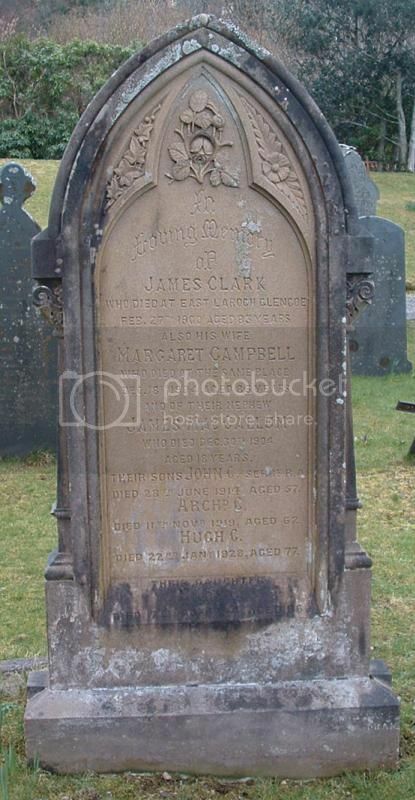 Additional Information: Son of James and Catherine McMillan (nee MacTaggart), of 9, Argyll Cottages, Ballachulish, Argyllshire. 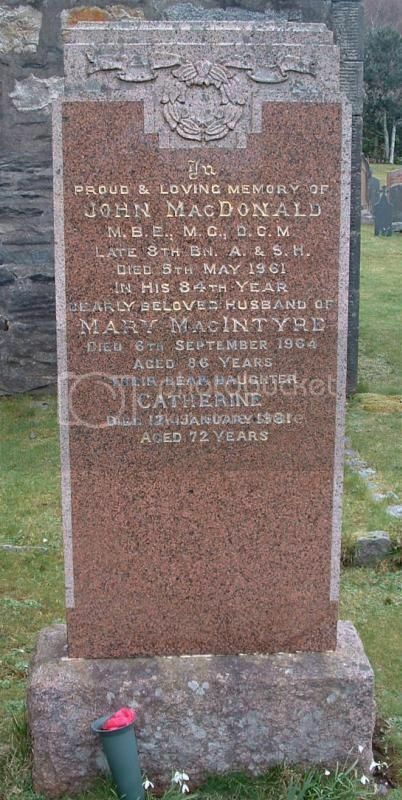 MacDONALD, John . late 8th Bn. A. & S. H.